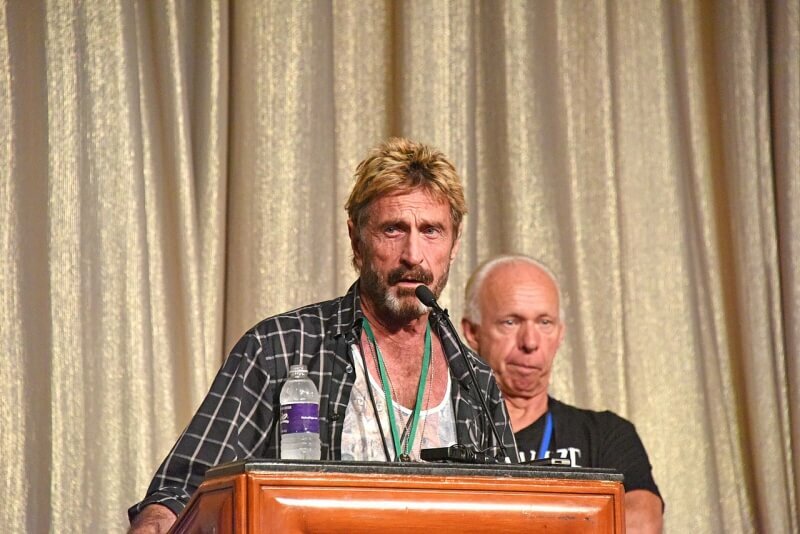 John McAfee is back in the spotlight yet again. The Libertarian Party presidential candidate, who wasn’t afraid to voice his controversial opinions on the Apple/FBI dispute, is now the executive chairman and CEO of MGT Capital Investments, a small startup that invests in fantasy sports and mobile games. With his typical McAfee flair, the new CEO’s first move was to rename the company after himself - MGT Capital Investments will be changing its name to John McAfee Global Technologies, Inc.
News of McAfee’s appointment caused shares in MGT to shoot up more than 30 percent. The Harrison, New York-based company has entered into a definitive asset purchase agreement to acquire certain technologies from D-Vasive, McAfee’s mobile app that lets users manage and monitor a device's internal hardware. It was also announced that MGT has entered into a consulting agreement with Future Tense Secure Systems, a “technology incubator with investments in other applications requiring privacy, such as file sharing and chat,” which is also headed by McAfee. All in all, the move looks like a lucrative one for the antivirus software pioneer. The deal still needs to be approved by MGT’s stockholders, but considering that the company’s share price has already increased following news of his arrival, it's unlikely there will be any objections. At the height of the FBI’s battle with Apple, McAfee said he could break the San Bernardino iPhone’s encryption for free with his team of super hackers. He later admitted that this was a lie to bring more attention to the case.